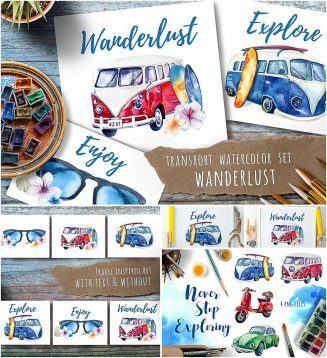 Set of 8 PNG files 6 posters with retro watercolor illustrations with cars and glasses for your personal designs. Free for download. 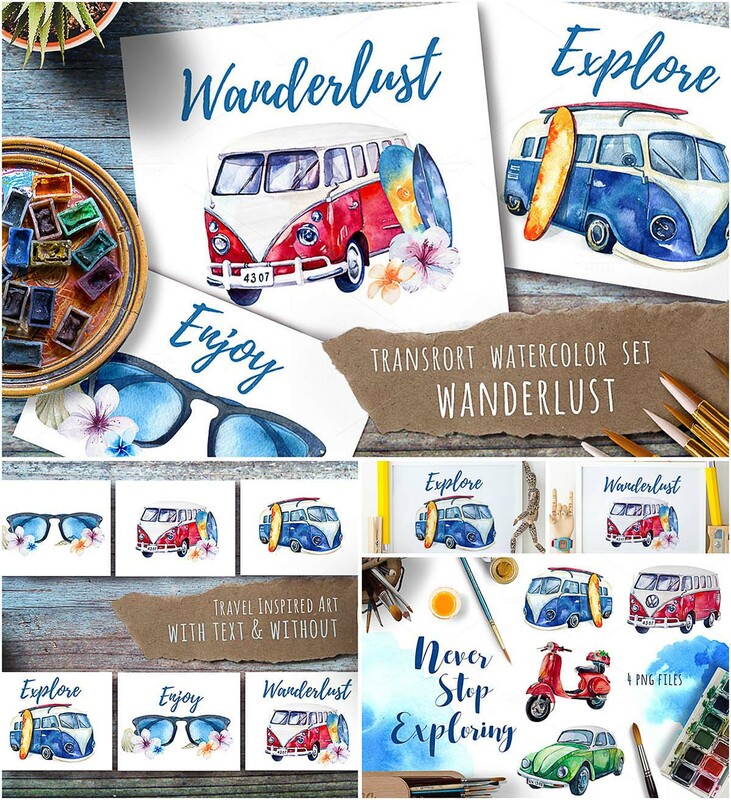 Tags: glasses, retro card, scooter, summer card, transport, wanderlust, watercolor.